I am available by my email all time. Employment: The Institute of International Studies, the University of Wroclaw, Poland. Head of European Studies (1994-2013); Research Director of the IIS (1995-2008). Education: MA in political sciences (1982), PhD in humanities (1986), Habilitation in international relation (1994), professor of University (1996), title of state professor in social sciences (1999); position of ordinary professor (2003). Main fields of present teaching and research activity are: political aspects of international relations focused on global problems and security, regional cooperation and governance in various regions, theory of international relations and security, foreign policy of the CEE countries. European integration, especially its role in processes of transformation in the CEE, Eastern enlargement. Supervision of Master thesis: (ca 390), BA thesis ( ca 150), between 1994-2015. Some selected examples of the professional work, consultancies: Expert for evaluation of the EU grants (5th- 7th Framework Programme of the EU in the area of social sciences and humanities; Marie Curie grants); national research grants (e.g Poland, Slovenia, Denmark, Norway). Member of International Advisory Board for Journal of International Relations and Development ed. by Palgrave; Academic Advisory Council of European Review of International Studies (ERIS), published by Barbara Budrich Publishers of Germany from 2014; member of Academic Board of the CEEISA Book Series published by Palgrave from 2013. 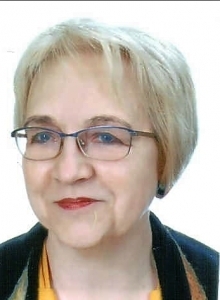 Elected member of the executive board of the Central East Europe International Studies Association (CEEISA) from 2007-2013 and the Steering Committee of the SGIR, ECPR from 2010 to 2013. Holder and coordinator ofgrants and scholarships:Network of Excellence in the 6th Framework of the EU, GARNET (2005-2010); member of the Academic Council of the PhD Garnet School; mobility grant at University of Warwick, 2010; Fatal Transactions (EuropeAid; 2006-2010). Visiting professor at the University of Minnesota, Duluth, April 2008& Sept.2015; at University of California, Santa Barbara, May 2010, Halifax, University of Dalhousie, Sept.2012; Kiev University April 2013,. National research grants: 7, the last one (2013-2015) on ‘The Nobel Prize as a symbol of global norms and social ideas’. Commentator on international political events for local radio, TV, newspapers. Doctoral students under supervision, in 1994-2017, in total – 35; including 32 who completed their thesis and passed exams, 3 whose projects are advanced and accepted by research council. Many reviews of PhD thesis, habilitation and professorship degrees/titles. Publications in total - over 110, including 9 books, 16 edited books, 69 articles, and others. Among publications in English: Europe on the Move. The Impact of Eastern Enlargement on the EU ( LIT Verlag 2005); Regional Dimension of Security, in: M. Farrell, B.Hettne, L.Van Langenhove (eds), Global Politics of Regionalism. Theory and Practice ( Pluto Press 2005); Federal Ideas of Europe In Contemporary Polish Discourse, in: T.Lane, M.Wolański (eds), Poland and European Unity: Ideas and Reality (WUWr. 2007);Towards regional governance of the EU through Eastern policy in: Reflecting on a Wider Europe and beyond: norms, rights, and interests, Konstantin Khudoley and Thomas J. Volgy (eds), (St. Petersburg State University Press 2007); The European Union′s Neighborhood Challenge. Transborder cooperation, migration and Europeanization, eds. K.Bachmann, E.Stadtmuller, Wrocław University Press, Wroclaw 2011; The EU′s Shifting Borders – Theoretical Approaches and Policy Implications in the New Neighbourhood, (eds. E.Stadtmuller, K.Bachmann,), Routledge, London 2012; Stadtmüller Elżbieta, European Voices in International Studies: What does Europe have to offer? (Voices from Central/Eastern Europe),” ERIS - European Review of International Studies ", Volume 1, 2014, pp. 117–124. Office hours in summer semester 2018/19: Monday 11.30-13.30: 25.02; 18, 25.03;1,8,15.04; 13,20,27.05, 3,10.06 I am available by my email all time. Employment: The Institute of International Studies, the University of Wroclaw, Poland. Head of European Studies (1994-2013); Research Director of the IIS (1995-2008). Education: MA in political sciences (1982), PhD in humanities (1986), Habilitation in international relation (1994), professor of University (1996), title of state professor in social sciences (1999); position of ordinary professor (2003).